Fehrenbacher’s goats, all weighing less than 50 pounds. Most yoga practitioners take this form of spiritual exercise very seriously. It requires strength, endurance and focus. Until someone brings in the mini goats. Then, all bets are off! 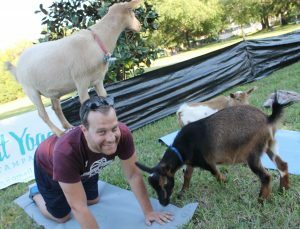 Such will be the case at the Brandon Family YMCA on April 20 when Goat Yoga class begins at 10:30 in the back pavilion. “Anyone planning to participate should be prepared for some hilarity, random giggling and very little focus,” said Y Membership Director and Yoga Instructor Rebecca Piatt, who will teach the class. 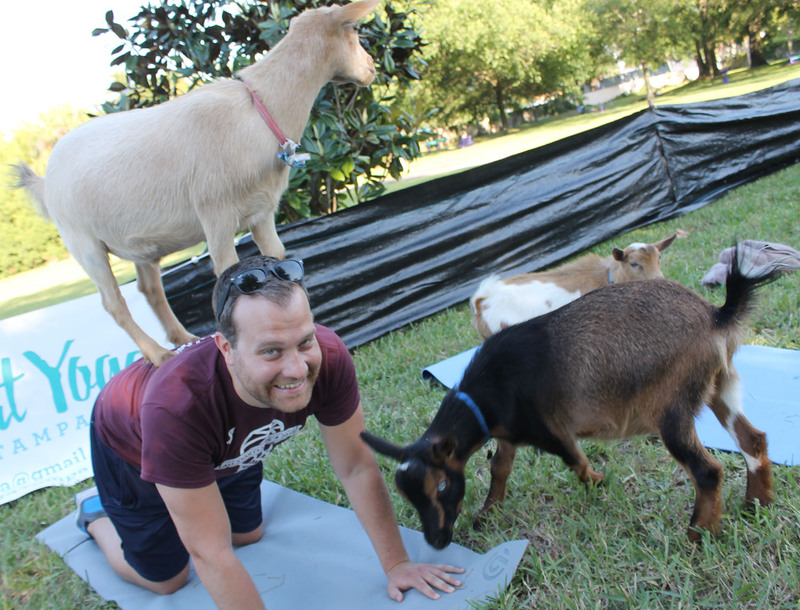 “It is pretty hilarious,” said Piatt, who has been teaching goat yoga for four years now. “I have been teaching group exercise classes for 22, years, and I have been teaching yoga for about 11 years,” she said. 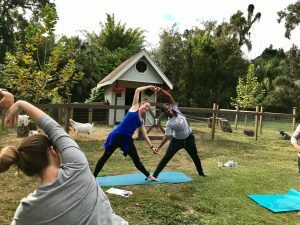 “I was working at another not-for-profit, and a member said, ‘My son’s girlfriend’s mother lives on a farm and has animals, and she is interested in starting goat yoga.’ I didn’t know what she was talking about,” Piatt recalled. From left, Katrina, Chloe and Alexis Fehrenbacher, from Fallen Oak Farm, hold the dwarf goats that will visit the Brandon Family YMCA April 20 for a special goat yoga class. All proceeds go to help families who can’t otherwise afford to join the Y. 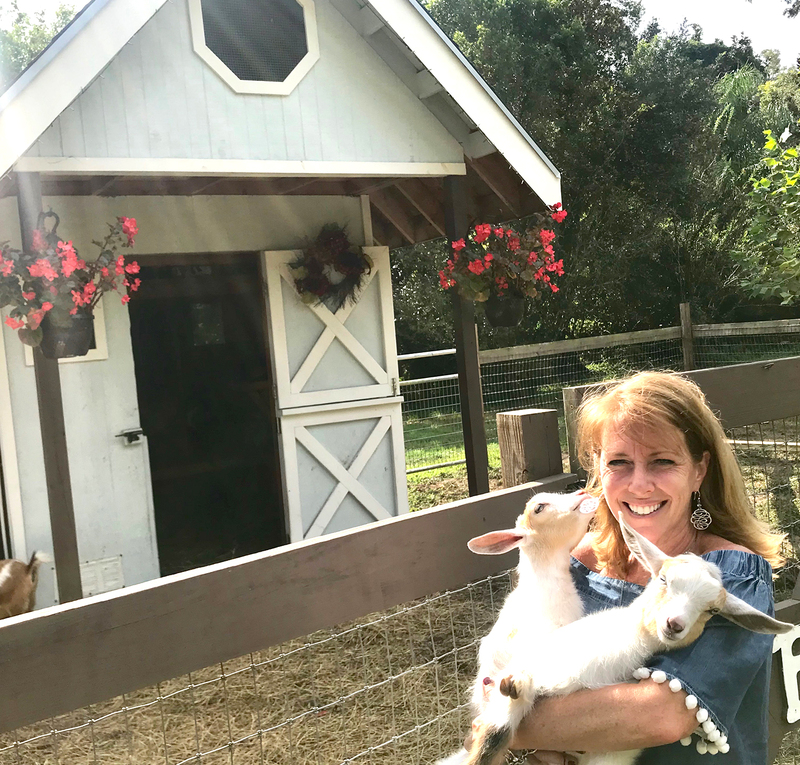 That was Shelley Fehrenbacher, owner of Fallen Oak Farms in Valrico, who owns a herd of mini goats, formally known as Nigerian Dwarf goats. “Shelley and I chatted on the phone, and I was still very puzzled. She told me to look it up. That evening on the news was a piece about goat yoga,” Piatt said. Fehrenbacher’s goats, all weighing less than 50 pounds, will be the stars of the show April 20. And they are expecting a herd of babies on April 8, so there could be a good crowd to leap and frolic around otherwise serious yoga practitioners. 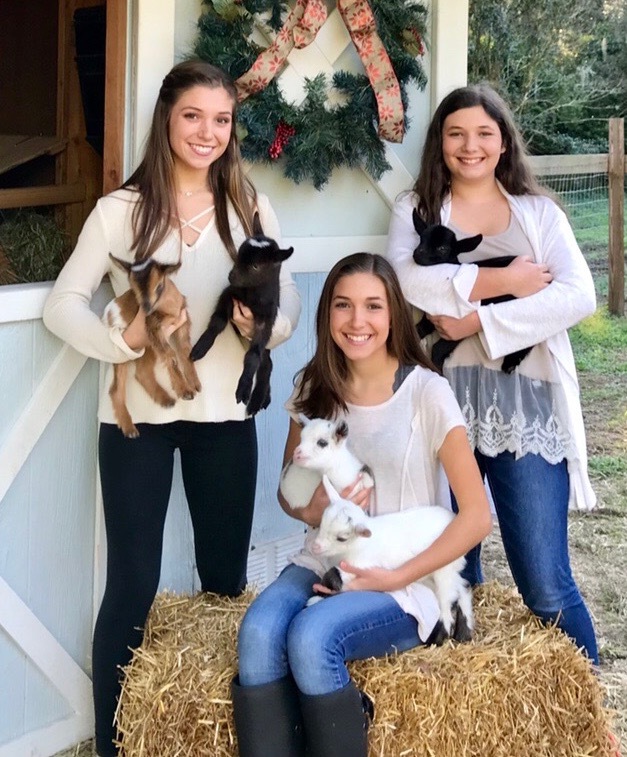 Shelley Fehrenbacher, owner of Fallen Oak Farm in Valrico, is loaning her dwarf goats to the Brandon Family YMCA April 20 for a goat yoga class. All the money from these fun and games will go to the YMCA’s annual campaign to help families facing financial hardship. The Y provides scholarships for families that might not otherwise be able to afford a Y membership. The cost of all this fun is $35 for adults and $25 for kids 5 through 12. You can pay online at : https://bit.ly/2CaHoqX or call the Brandon Family Y at 813-685-5402. The Y is located at 3097 S. Kingsway Road, Seffner. Participants should bring their own mats. Piatt was working with Fehrenbacher for several years doing Saturday goat yoga at the boutique farm. 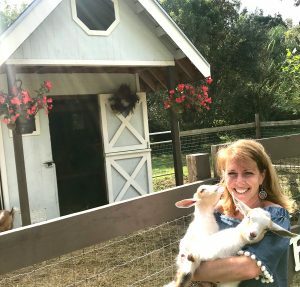 Shelley Fehrenbacher opened her boutique farm in Valrico for goat yoga for a couple of years. She is loaning her goats to the Brandon Family YMCA April 20 for a goat yoga class there. All proceeds go to the annual giving campaign that helps indigent families with scholarships to the Y. “It is outside, which makes it different, in itself,” she said. “One thing we talked about is the experience. When you do yoga inside, you get a great experience. When you take it outside, you don’t teach with music. You are connected with your environment. The sounds and sensations of nature are all around you.